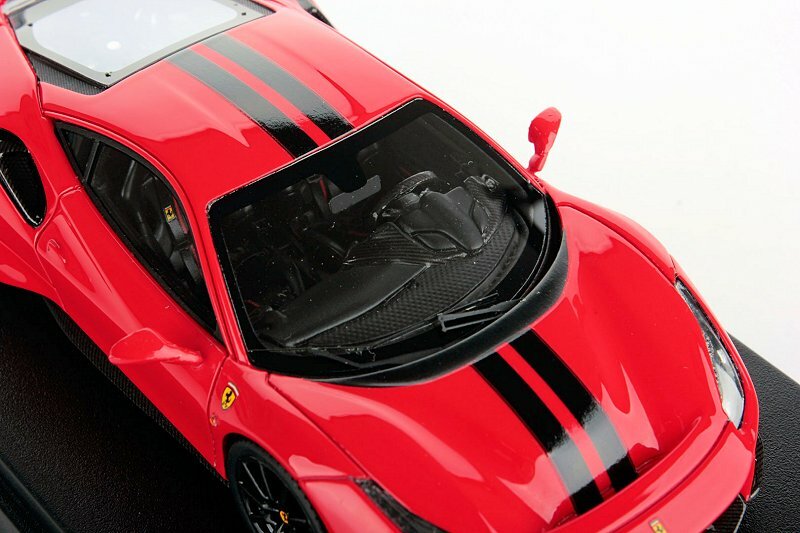 This is one of the nicest scale replicas by Looksmart in some time. The execution is usually on point but the colour combo here is just sinister! 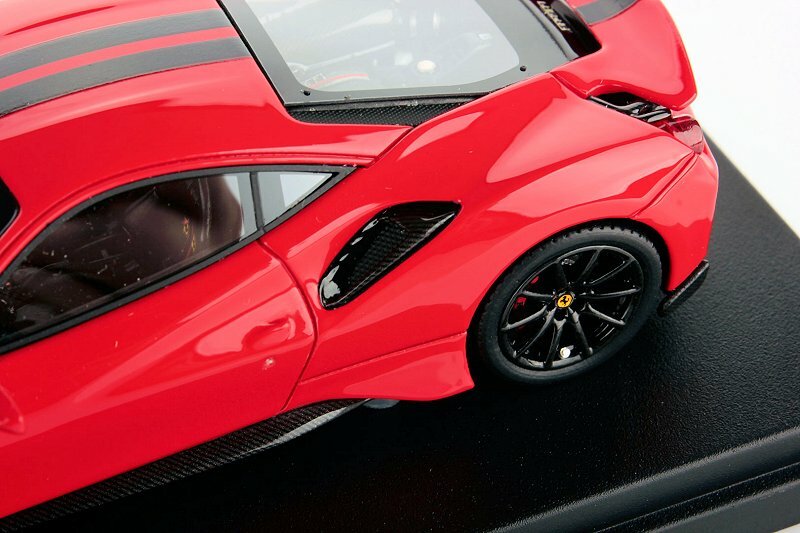 Rosso Scuderia mated with Black racing decals and Black Carbon wheels definitely bring forward the beauty of the Ferrari 488 Pista. She is available now, contact Looksmart or Looksmart dealer. 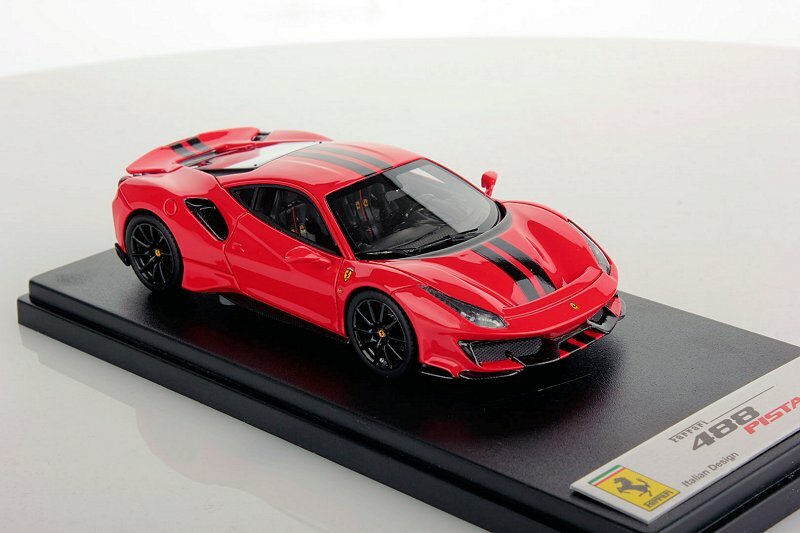 4 Responses to "Looksmart New Colour Ferrari 488 Pista"
Disagree. Looks very shiny and plasticy. 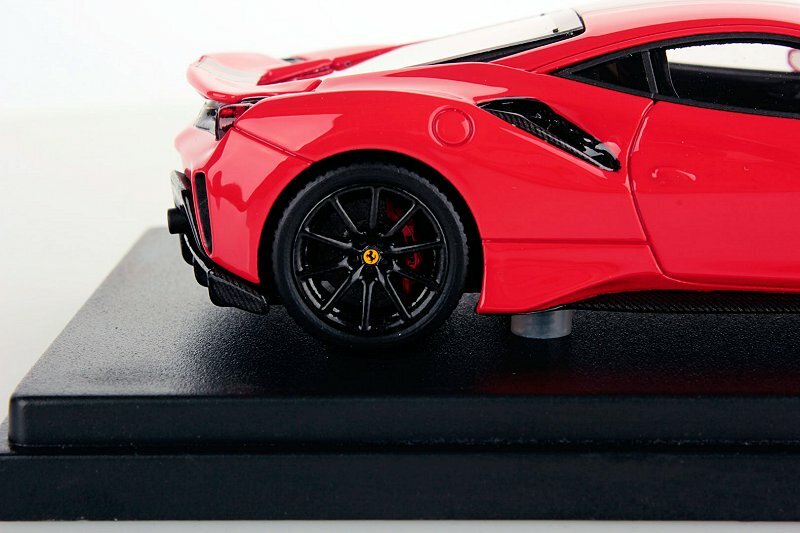 Is this a 1/43rd? 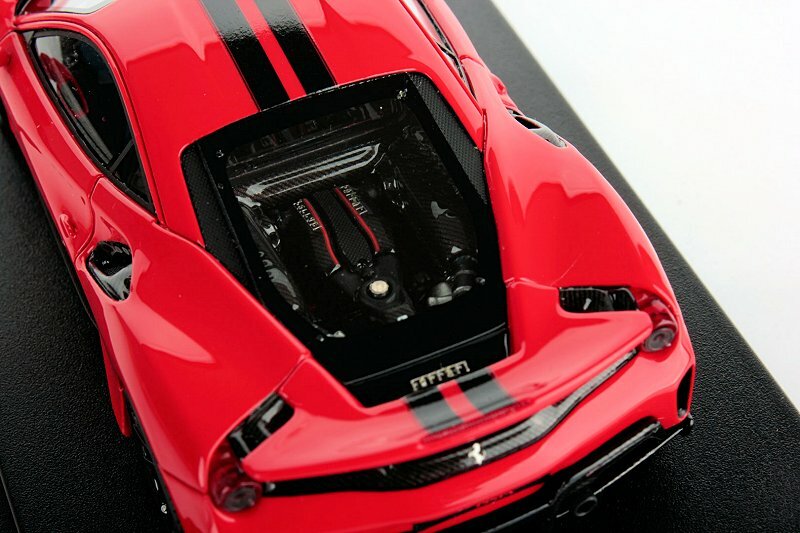 Obviously it is a 1/43rd. Should have been mentionned though. Not bad for the scale but not even close to models that Make Up is doing. By the way, I compared Ferrari J50 in 1:43 by BBR and LookSmart, and for me the LookSmart’s one looks better, even though the BBR’s one costs 1.5 times more. 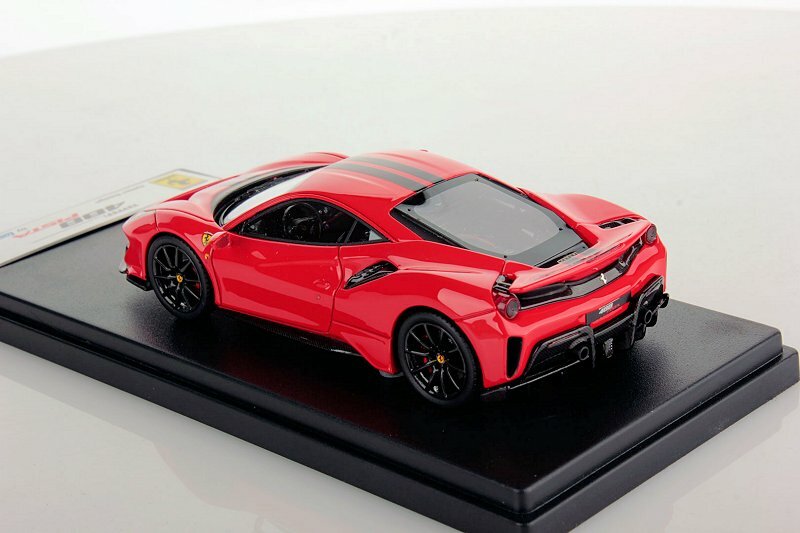 On the other hand, this 488 Pista model seems to use plastic grilles again (around the engine window and under the windshield, as far as I can see), which is something I definitely don’t like. Please Hot Wheels Elite come back!!! !